Surf’s Up! A new wave of God’s presence is hitting! I have been leading a prophetic class called “Willing to Yield” now for two weeks, with mostly adult students attending from a variety of churches around the area, with some driving 90 minutes one way to attend. I am amazed, blessed, honored and gratified to see such hunger. Each week the class grows in number and the people attending are yearning for more of God, with a strong desire to hear from God, and expand His Kingdom through their spheres of influence. While I have been teaching the theology I am also letting them experience the theophany of the Bible. Theology is the study of God’s word, but Theophany is experiencing God’s word because Bible study without Bible experience really is pointless. Last week many of those in attendance heard from God, received a downloaded Scripture reference, read the verse out loud, then we identified thru the verse who in the room it may apply towards. Then the person who received the verse was released to pray over and for those people without knowing the circumstances, and they all prayed with pin-point accuracy. Praise God for His faithfulness! This past week the class was instructed to Stop, Listen and Pray. Then based on what they heard, they selected someone from their phone list, and sent either a word of encouragement, or a prophetic word or a written prayer. Many of those who received the texts responded with affirmation for what was sent. There were two other opportunities to share words with people in a safe environment that leads to edification. Here are three testimonies from one lady in the class whose name is TaRae, with her note edited by removing the names of the individuals affected. I just wanted to give a praise report regarding yesterday’s class. Your ministry is one that is practical and strongly grounded in biblical truth. It’s easy to digest and apply. So here are a few testimonies about yesterday’s class. On Saturday, the Lord placed a relative on my heart and wanted me to reach out to him. I hadn’t spoken to him since Thanksgiving and I had to address some issues regarding his attitude towards my immediate family and it left a lot of tension. We hadn’t spoken since and I wasn’t quite sure as to how to reach out to him. Well you said send a text message. I sent the text message and I simply said I love you along with a quick prayer. Well I didn’t hear anything during the class or even after the class. But this morning on my way to work, I received a text message from him at 7:03 and he responded “Awesome, you knew what I needed!!!! !” Praise God! Yesterday at the beginning of class the Lord placed one of our leaders on my heart and I wasn’t sure again on what He wanted me to say to him. As class went on and we did the exercise with the bible claps, I thought that the Lord would tell me that I would have a word for that leader, and He didn’t! Instead He lead me to a lady in the class. 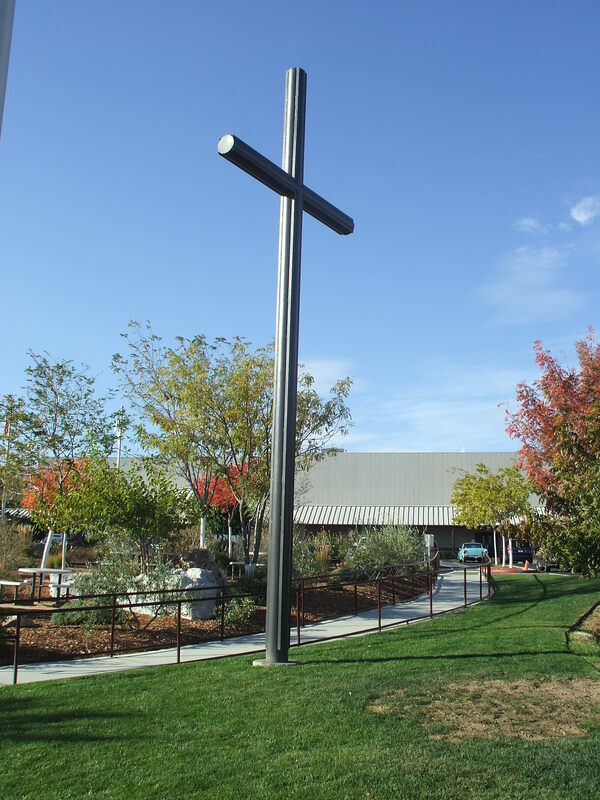 (That will be my next story…LOL) It wasn’t until after class and another friend and I were walking out that the Lord said go back and talk to that leader. I was able to minister to him regarding his music ministry and the release that the Lord was about to bring to him in order for him to use his gift. Total confirmation! Praise God again! God is good. Thanks for the awesome practical teaching!!! By the way, TaRae has a new book coming out soon from the same publisher that I am using, which is SpiriTruth Publishing in Houston with Pastor Eddie Smith. If you want information about this company or TaRae’s book, please contact me and I will be happy to recommend either to you. TaRae’s book is called “Journey, The Road to Empowerment” and I was honored to write the foreword to it as well. Intercession brings revelation and revelation brings manifestation and manifestation brings exaltation which in turn takes us back to intercession. 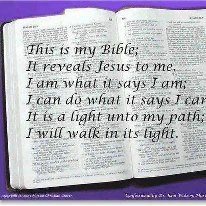 Like Jesus, we only want to do what the Father is instructing us to do – see John 5:19. So we pray, and receive revelation and then act on that revelation and experience the manifestation. This propels us to give praise back to God in exaltation, which then leads us to pray again through intercession. 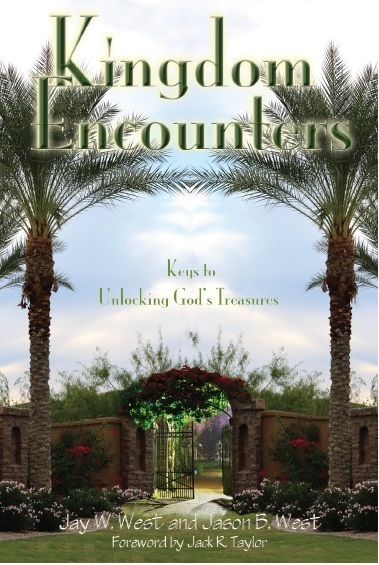 Since September I have been praying and writing and my 3rd book Kingdom Encounters is being printed this week and I should have copies available by the end of next week. It is already available for pre-order on Amazon, and will also be in Kindle, E-Books, Audio Books and eventually in bookstores too. And then my previous two books will soon be available in those formats. I am in the middle now of the manifestation of this happening, and praising God in exaltation as well. And simultaneously I am praying and writing my next two books. I am thrilled to share this information with you. My son Jason actually wrote two of the chapters of this book, plus the foreword is by Jack Taylor who is the spiritual father for Bill Johnson at Bethel Church in Redding, CA. Here is my ministry schedule thru March: You are welcome to attend and/or contact me for future invitations. All of these listed are in the Omaha, Nebraska area. Be sure to share your prayer requests with me so I can be praying for you this week. I am seeing rapid healing for many people. As I walked past one lady in our church last Wednesday, I overheard her say there was a knot in her shoulder with pain. I stopped and asked if I could pray for her, and in seconds God healed her and I learned on Sunday that she was still feeling great with no pain. To God Be The Glory, Great Things He has Done! This entry was posted in Healing Testimonies and Teaching, Kingdom Encounters, Portions of Jay's Books, Prophetic - Words of Knowledge, Upcoming Ministry Opportunities and tagged Beautiful Savior Lutheran, Bill Johnson, Eagle's Nest Worship Center, Eddie Smith, exaltation, healing, Healing testimony, intercession, Jack Taylor, Jason West, Journey The road to empowerment, Kingdom Encounters, Life Change, manifestation, prayer, Prophecy, Revelation, Spiritruth Publishing, Words of Knowledge, Yield by anointed2go. Bookmark the permalink. Hello Jay! I am currently here at London with 38 students from my high school. We are having a blast but I am also trying to be aware of how God can use me even during this school field trip to do his holy work. I am so excited that your class is going so well and many are being blessed. Keep going, brother, and someday I believe our paths will cross again! I speak healing to Teresa’ should now in the name of Jesus and ask for a healing anointing to flow into that area. I speak against pain and soreness, stiffness and inflammation and pray that the healing power of Jesus touches her now and that it improves rapidly. I believe there is a miracle when you check, so please check it out with some movement – I thank you Jesus and pray this prayer in your name, Amen! Hi Jay, Your reports continue to bless us and what joy it is to read how God continues to escalate His healing touch through your ministry. When I read your “Surf’s Up”, I perked up. Please pray for Grace. She has on-going pain in her cervical and thoractic spine areas and in her right pelvic area. Doctors attribute this to osteoporosis and arthritis. She copes okay in daytime, but cannot sleep well at night. Thank you so much, my friend.